We are a leading Exporter of azithromycin dihydrate tablets, cardivas 6.25 tablet, levoflox tablets, novaclav-625 tablets, distaclor cd tablet and acamprol tablet from Nagpur, India. Azee 500 Tablet is an antibiotic. It works by preventing the synthesis of essential proteins required by bacteria to carry out vital functions. Thus, it stops the bacteria from growing and prevents the infection from spreading. Alcohol safe It is generally safe to consume alcohol with Azee 500 Tablet. Lactation safe Azee 500 Tablet is safe to use during lactation. Human studies have shown that either the drug does not pass into the breastmilk in a significant amount or is not expected to cause toxicity to the baby. There may be a possibility of diarrhea or rash in the baby. Driving safe Azee 500 Tablet does not usually affect your ability to drive. Kidney Azee 500 Tablet should be used with caution in patients with severe kidney disease. Dose adjustment of Azee 500 Tablet may be needed. Please consult your doctor. Liver caution Azee 500 Tablet should be used with caution in patients with liver disease. Dose adjustment of Azee 500 Tablet may be needed. Please consult your doctor. Take This Medicine In The Dose And Duration As Advised By Your Doctor. Swallow It As A Whole. Do Not Chew, Crush Or Break It. Cardivas 6.25 Tablet Is To Be Taken With Food. 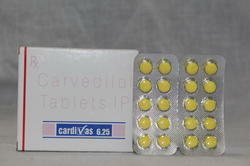 Cardivas 6.25 Tablet Is An Alpha And Beta Blocker. It Works By Slowing Down The Heart Rate And Relaxing Blood Vessels Which Makes The Heart More Efficient At Pumping Blood Around The Body. Taking Carvedilol With Alcohol May Have Additive Effects In Lowering Your Blood Pressure. You May Experience A Headache, Dizziness, Lightheadedness, Fainting, And/Or Changes In Pulse Or Heart Rate. Liver caution cardigans 6.25 Tablet Should Be Used With Caution In Patients With Liver Disease. Dose Adjustment Of Cardivas 6.25 Tablet May Is Needed. Please Consult Your Doctor. 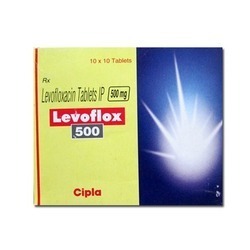 Levoflox 500 Tablet is used in the treatment of bacterial infections. It is also used in infections of urinary tract, tonsils, sinus, nose, throat, female genital organ, skin & soft tissues and lungs (pneumonia). Take this medicine in the dose and duration as advised by your doctor. Swallow it as a whole. Do not chew, crush or break it. Levoflox 500 Tablet may be taken with or without food, but it is better to take it at a fixed time. Avoid Levoflox 500 Tablet with dairy products such as milk, cheese, curd, butter, paneer and ice cream. Levoflox 500 Tablet is an antibiotic. It works by stopping the action of a bacterial enzyme called DNA-gyrase. This prevents the bacterial cells from dividing and repairing, thereby killing them. Alcohol safe It is generally safe to consume alcohol with Levoflox 500 Tablet. Levoflox 500 Tablet is unsafe to use during pregnancy. Lactation caution Levoflox 500 Tablet is probably unsafe to use during lactation. Limited human data suggest that the drug could represent a significant risk to the baby. Driving Levoflox 500 Tablet may make you feel dizzy, drowsy or affect your vision. Do not drive until your vision is clear. Kidney caution Levoflox 500 Tablet should be used with caution in patients with kidney disease. Dose adjustment of Levoflox 500 Tablet may be needed. Please consult your doctor. Liver There is limited information available on the use of Levoflox 500 Tablet in patients with liver disease. Please consult your doctor. What If You Miss A Dose Of Levoflox Tablet? If you miss a dose of Levoflox 500 Tablet, take it as soon as possible. However, if it is almost time for your next dose, skip the missed dose and go back to your regular schedule. Do not double the dose. 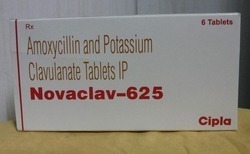 Novaclav 625 Tablet is used in the treatment of bacterial infections. Take this medicine in the dose and duration as advised by your doctor. Swallow it as a whole. Do not chew, crush or break it. Novaclav 625 Tablet is to be taken with food.This will help to avoid stomach upset. Novaclav 625 Tablet is a combination of two medicines: Amoxycillin and Clavulanic Acid. Amoxycillin is an antibiotic. It works by preventing the formation of the bacterial protective covering which is essential for the survival of bacteria. Clavulanic Acid is a beta-lactamase inhibitor which reduces resistance and enhances the activity of Amoxycillin against bacteria. Pregnancy probably safe Novaclav 625 Tablet is probably safe to use during pregnancy. Animal studies have shown low or no adverse effect on the fetus, however, there are limited human studies. Please consult your doctor. Lactation safe Novaclav 625 Tablet is safe to use during lactation. Human studies have shown that either the drug does not pass into the breastmilk in a significant amount or is not expected to cause toxicity to the baby. Driving Do not drive unless you are feeling well. Novaclav 625 Tablet may cause side effects such as allergic reactions, dizziness or fits that may make you unfit to drive. Kidney Caution Novaclav 625 Tablet should be used with caution in patients with kidney disease. Dose adjustment of Novaclav 625 Tablet may be needed. Please consult your doctor. Use of this medicine is not recommended in patients with severe kidney disease. Liver Caution Novaclav 625 Tablet should be used with caution in patients with liver disease. Dose adjustment of Novaclav 625 Tablet may be needed. Please consult your doctor. Regular monitoring of liver function tests is recommended while you are taking this medicine. Distaclor CD 375 mg Tablet is used in the treatment of bacterial infections. It is used in serious bacterial infections of various body parts like urinary tract, skin, and soft-tissue, blood, brain, and lungs (pneumonia). It is also used to prevent infections after surgery. Take this medicine in the dose and duration as advised by your doctor. Swallow it as a whole. Do not chew, crush or break it. Distaclor CD 375 mg Tablet may be taken with or without food, but it is better to take it at a fixed time. 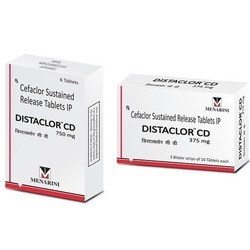 Distaclor CD 375 mg Tablet is an antibiotic. It kills bacteria by preventing them from forming the bacterial protective covering which is needed for them to survive. Alcohol Caution Distaclor CD 375 mg Tablet may cause symptoms such as flushing, increased heartbeat, nausea, thirst, chest pain and low blood pressure with alcohol (Disulfiram reactions).Distaclor CD 375 mg Tablet is probably safe to use during pregnancy. Lactation safe Distaclor CD 375 mg Tablet is safe to use during lactation. Human studies have shown that either the drug does not pass into the breastmilk in a significant amount or is not expected to cause toxicity to the baby. Avoid prolonged use of Distaclor CD 375 mg Tablet, since it may have possible effects such as rash and diarrhea. Driving is not known whether Distaclor CD 375 mg Tablet alters the ability to drive. Do not drive if you experience any symptoms that affect your ability to concentrate and react. Kidney caution Distaclor CD 375 mg Tablet should be used with caution in patients with kidney disease. Dose adjustment of Distaclor CD 375 mg Tablet may be needed. Please consult your doctor. Liver There is limited information available on the use of Distaclor CD 375 mg Tablet in patients with liver disease. Please consult your doctor. What If You Miss A Dose Of Distaclor Cd Tablet Sr? If you miss a dose of Distaclor CD 375 mg Tablet, take it as soon as possible. However, if it is almost time for your next dose, skip the missed dose and go back to your regular schedule. Do not double the dosage. Acamprol Tablet Is Used In The Treatment Of Alcohol Addiction. Take This Medicine In The Dose And Duration As Advised By Your Doctor. Swallow It As A Whole. Do Not Chew, Crush Or Break It. Acamprol Tablet Is To Be Taken With Food. Acamprol Tablet Blocks The Chemical Which Breaks The Converted Form Of Alcohol In The Body. This Leads To An Increased Level Of Converted Form Of Alcohol In The Body Causing Bad Physical Features While Drinking Alcohol. Pregnancy Weigh Risks Vs Benefits Acamprol Tablet May Be Unsafe To Use During Pregnancy. Lactation Acamprol Tablet Is Probably Safe To Use During Lactation. Limited Human Data Suggests That The Drug Does Not Represent A Significant Risk To The Baby. Driving Safe Acamprol Tablet Does Not Usually Affect Your Ability To Drive. Kidney Caution Acamprol Tablet Should Be Used With Caution In Patients With Kidney Disease. Dose Adjustment Of Acamprol Tablet May Be Needed. Please Consult Your Doctor. What If You Miss A Dose Of Acamprol Tablet? 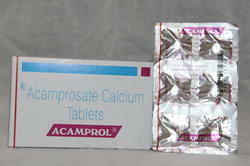 If You Miss A Dose Of Acamprol Tablet, Take It As Soon As Possible. However, If It Is Almost Time For Your Next Dose, Skip The Missed Dose And Go Back To Your Regular Schedule. Do Not Double The Dose. Cerazette Tablet Is Used For Contraception. Take This Medicine In The Dose And Duration As Advised By Your Doctor. Swallow It As A Whole. Do Not Chew, Crush Or Break It. Cerazette Tablet May Be Taken With Or Without Food, But It Is Better To Take It At A Fixed Time. Cerazette Tablet Is A Progestin (Female Hormones). It Works To Prevent Pregnancy By Preventing The Release Of An Egg From The Ovary Or Preventing Fertilization Of The Egg By Sperm (Male Reproductive Cells). It Also May Work By Changing The Lining Of The Uterus (Womb) To Prevent The Development Of A Pregnancy. Alcohol Caution Takind Desogestrel With Alcohol May Cause Minor Drug Interactions Which May Not Be Clinically Relevant In All Patients. Pregnancy Caution Cerazette Tablet Is Highly Unsafe To Use During Pregnancy. Lactation Caution Cerazette Tablet Is Probably Unsafe To Use During Lactation. Limited Human Data Suggest That The Drug Could Represent A Significant Risk To The Baby. Driving Safe Cerazette Tablet Does Not Usually Affect Your Ability To Drive. Kidney There Is Limited Information Available On The Use Of Cerazette Tablet In Patients With Kidney Disease. Please Consult Your Doctor. 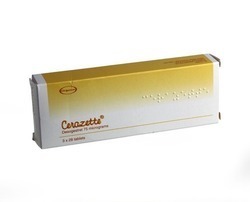 Liver Caution Cerazette Tablet Should Be Used With Caution In Patients With Liver Disease. Dose Adjustment Of Cerazette Tablet May Be Needed. Please Consult Your Doctor. Use Of Cerazette Tablet Is Not Recommended In Patients With Severe Liver Disease And Active Liver Disease. Finast Tablet Is Used In The Treatment Of Benign Prostatic Hyperplasia. Take This Medicine In The Dose And Duration As Advised By Your Doctor. Swallow It As A Whole. Do Not Chew, Crush Or Break It. Finast Tablet May Be Taken With Or Without Food, But It Is Better To Take It At A Fixed Time. 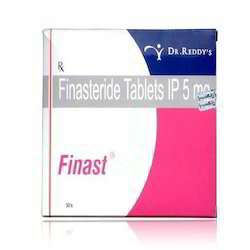 Finast Tablet Is A 5-Alpha Reductase Inhibitors. It Blocks An Enzyme Which Is Necessary To Change Testosterone To Another Hormone That Causes Prostate To Grow. As A Result, It Helps To Shrink The Prostate And Relieve The Symptoms Like Difficulty In Passing Urine. Niftas 50 mg Tablet is used in the treatment and prevention of bacterial infections of the urinary tract. Take this medicine in the dose and duration as advised by your doctor. Swallow it as a whole. Do not chew, crush or break it. Niftas 50 mg Tablet is to be taken with food. Niftas 50 mg Tablet is an antibiotic. It works by killing the bacteria in the urine that causes infection. Alcohol safe It is generally safe to consume alcohol with Niftas 50 mg Tablet. Niftas 50 mg Tablet is probably safe to use during pregnancy. Lactation caution Niftas 50 mg Tablet should be used with caution during lactation. Breast feeding should be held until the treatment of the mother is completed and the drug is eliminated from her body. Driving Niftas 50 mg Tablet may make you feel dizzy, sleepy, tired, or decrease alertness. If this happens, do not drive. 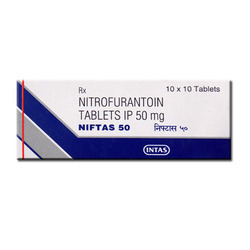 Kidney caution Niftas 50 mg Tablet should be used with caution in patients with kidney disease. Dose adjustment of Niftas 50 mg Tablet may be needed. Please consult your doctor. Use of Niftas 50 mg Tablet is not recommended in patients with severe kidney disease, who are unable to pass urine or have high creatinine levels. Liver caution Niftas 50 mg Tablet should be used with caution in patients with liver disease. Dose adjustment of Niftas 50 mg Tablet may be needed. Please consult your doctor. Use of Niftas 50 mg Tablet is not recommended in patients with severe liver disease and active liver disease. What If You Miss A Dose Of Niftas Tablet? If you miss a dose of Niftas 50 mg Tablet, take it as soon as possible. However, if it is almost time for your next dose, skip the missed dose and go back to your regular schedule. Do not double the dose. Ceftum 500 mg Tablet is used in the treatment of bacterial infections. It is used for short-term treatment of bacterial infections of urinary tract, skin and soft-tissue, blood, and lungs (pneumonia). It is also used to prevent infections after surgery. Take this medicine in the dose and duration as advised by your doctor. Swallow it as a whole. Do not chew, crush or break it. Ceftum 500 mg Tablet is to be taken with food. Avoid Ceftum 500 mg Tablet with dietary sodium. 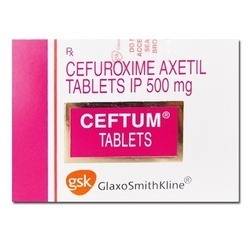 Ceftum 500 mg Tablet is an antibiotic. It kills bacteria by preventing them from forming the bacterial protective covering which is needed for them to survive. Ceftum 500 mg Tablet is probably safe to use during pregnancy. Lactation safe Ceftum 500 mg Tablet is safe to use during lactation. Human studies have shown that either the drug does not pass into the breastmilk in a significant amount or is not expected to cause toxicity to the baby. Avoid prolonged use of Ceftum 500 mg Tablet, since it may have possible effects such as rash and diarrhea. Driving not relevant, as Ceftum 500 mg Tablet is intended for use in hospitalized patients. KidneyThere is limited information available on the use of Ceftum 500 mg Tablet in patients with kidney disease. Please consult your doctor. Liver There is limited information available on the use of Ceftum 500 mg Tablet in patients with liver disease. Please consult your doctor. What If You Miss A Dose Of Centum Tablet? If you miss a dose of Ceftum 500 mg Tablet, take it as soon as possible. However, if it is almost time for your next dose, skip the missed dose and go back to your regular schedule. Do not double the dose. 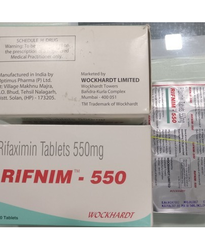 Backed by a diligent team of professionals, we have been able to process and supply an outstanding range of Rifnim 550mg Tablets. 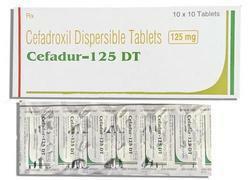 Cefadur 125 mg Tablet DT is used in the treatment of bacterial infections. It is used for short-term treatment of bacterial infections of urinary tract, skin, and soft-tissue, blood, abdomen, genital and lungs (pneumonia). It is also used to prevent infections after surgery. Take this medicine in the dose and duration as advised by your doctor. Dissolve it in a glass of water before taking it. Cefadur 125 mg Tablet DT may be taken with or without food, but it is better to take it at a fixed time. Cefadur 125 mg Tablet DT is an antibiotic. It kills bacteria by preventing them from forming the bacterial protective covering (cell wall) which is needed for them to survive. Alcohol safe It is generally safe to consume alcohol with Cefadur 125 mg Tablet DT. Cefadur 125 mg Tablet DT is probably safe to use during pregnancy. Lactation Safe Cefadur 125 mg Tablet DT is safe to use during lactation. Human studies have shown that either the drug does not pass into the breastmilk in a significant amount or is not expected to cause toxicity to the baby. Avoid prolonged use of Cefadur 125 mg Tablet DT, since it may have possible effects such as rash and diarrhea. Driving Do not drive unless you are feeling well. Cefadur 125 mg Tablet DT may cause a headache, dizziness, nervousness, sleeplessness, and fatigue, therefore the ability to drive may be influenced. Kidney caution Cefadur 125 mg Tablet DT should be used with caution in patients with kidney disease. Dose adjustment of Cefadur 125 mg Tablet DT may be needed. Please consult your doctor. Liver Cefadur 125 mg Tablet DT is probably safe to use in patients with liver disease. Limited data available suggests that dose adjustment of Cefadur 125 mg Tablet DT may not be needed in these patients. Please consult your doctor. Roxid 150 Tablet is used in the treatment of bacterial infections. It is used in infections of tonsils, sinus, ear, nose, throat, skin and soft tissues and lungs (pneumonia). Take this medicine in the dose and duration as advised by your doctor. Swallow it as a whole. Do not chew, crush or break it. Roxid 150 Tablet is to be taken empty stomach. Roxid 150 Tablet is an antibiotic. It works by preventing the synthesis of essential proteins required by bacteria to carry out vital functions. Thus, it stops the bacteria from growing and prevents the infection from spreading. Alcohol Interaction with alcohol is unknown. Please consult your doctor.Roxid 150 Tablet is probably safe to use during pregnancy. Lactation safe Roxid 150 Tablet is safe to use during lactation. Human studies have shown that either the drug does not pass into the breastmilk insignificant amount or is not expected to cause toxicity to the baby. Driving Roxid 150 Tablet may make you feel dizzy, sleepy, tired, or decrease alertness. If this happens, do not drive. Kidney Roxid 150 Tablet is probably safe to use in patients with kidney disease. Limited data available suggests that dose adjustment of Roxid 150 Tablet may not be needed in these patients. Please consult your doctor. 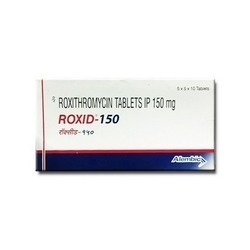 Liver Caution Roxid 150 Tablet should be used with caution in patients with liver disease. Dose adjustment of Roxid 150 Tablet may be needed. Please consult your doctor. What If You Miss A Dose Of Roxid Tablet? If you miss a dose of Roxid 150 Tablet, take it as soon as possible. However, if it is almost time for your next dose, skip the missed dose and go back to your regular schedule. Do not double the dose. Phexin BD 750 mg Tablet is used in the treatment of bacterial infections. It is used to treat common mild to moderate bacterial infection. Take this medicine in the dose and duration as advised by your doctor. Swallow it as a whole. Do not chew, crush or break it. Phexin BD 750 mg Tablet may be taken with or without food, but it is better to take it at a fixed time. Phexin BD 750 mg Tablet is an antibiotic. It kills bacteria by preventing them from forming the bacterial protective covering (cell wall) which is needed for them to survive. Phexin BD 750 mg Tablet is probably safe to use during pregnancy. Lactation safe Phexin BD 750 mg Tablet is safe to use during lactation. Human studies have shown that either the drug does not pass into the breastmilk in a significant amount or is not expected to cause toxicity to the baby. Avoid prolonged use of Phexin BD 750 mg Tablet, since it may have possible effects such as rash and diarrhea. Driving safe Phexin BD 750 mg Tablet does not usually affect your ability to drive. Kidney Phexin BD 750 mg Tablet should be used with caution in patients with severe kidney disease. Dose adjustment of Phexin BD 750 mg Tablet may be needed. Please consult your doctor. 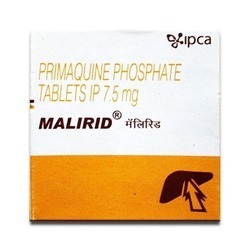 Liver caution Phexin BD 750 mg Tablet should be used with caution in patients with liver disease. Dose adjustment of Phexin BD 750 mg Tablet may be needed. Please consult your doctor. What If You Miss A Dose Of Phexin Tablet? If you miss a dose of Phexin BD 750 mg Tablet, take it as soon as possible. However, if it is almost time for your next dose, skip the missed dose and go back to your regular schedule. Do not double the dose. 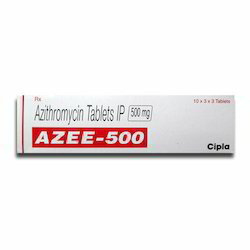 Althrocin 500 mg Tablet is used in the treatment of bacterial infections. It is used in infections of tonsils, sinus, ear, nose, throat, skin and soft tissues, windpipe, and lungs (pneumonia). Take this medicine in the dose and duration as advised by your doctor. Swallow it as a whole. Do not chew, crush or break it. 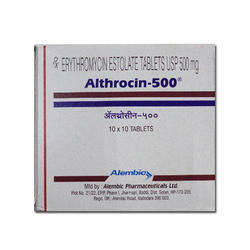 Althrocin 500 mg Tablet is to be taken empty stomach. lthrocin 500 mg Tablet is an antibiotic. It works by preventing the synthesis of essential proteins required by bacteria to carry out vital functions. Thus, it stops the bacteria from growing and prevents the infection from spreading. Alcohol Caution Taking Erythromycin with alcohol may cause minor drug interactions which may not be clinically relevant in all patients. Pregnancy probably safe Althrocin 500 mg Tablet is probably safe to use during pregnancy. Lactation safe Althrocin 500 mg Tablet is safe to use during lactation. Human studies have shown that either the drug does not pass into the breastmilk in a significant amount or is not expected to cause toxicity to the baby. Driving safe Althrocin 500 mg Tablet does not usually affect your ability to drive. Kidney safe Althrocin 500 mg Tablet is safe to use in patients with kidney disease. No dose adjustment of Althrocin 500 mg Tablet is recommended. However, inform your doctor if you have any kidney disease as the use of this medicine may affect hearing in patients with severe kidney disease. Liver caution Althrocin 500 mg Tablet should be used with caution in patients with liver disease. Dose adjustment of Althrocin 500 mg Tablet may be needed. Please consult your doctor. Use of this medicine in liver disease patients can cause hearing loss. What If You Miss A Dose Of Althrocin Tablet? If you miss a dose of Althrocin 500 mg Tablet, take it as soon as possible. However, if it is almost time for your next dose, skip the missed dose and go back to your regular schedule. Do not double the dose. 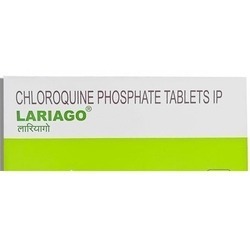 Lariago Tablet is used in the treatment of malaria. Take this medicine in the dose and duration as advised by your doctor. Swallow it as a whole. Do not chew, crush or break it. Lariago Tablet is to be taken with food. Lariago Tablet is an antiparasitic medication which treats malaria. It works by increasing the levels of time in the blood, a substance toxic to the malarial parasite. This kills the parasite and stops the infection from spreading. Lariago Tablet may be unsafe to use during pregnancy. Lactation safe Lariago Tablet is safe to use during lactation. Human studies have shown that either the drug does not pass into the breastmilk in a significant amount or is not expected to cause toxicity to the baby. Sometimes Lariago Tablet causes blurred eyesight or makes it difficult to focus your eyes which may affect your ability to drive. Kidney Caution Lariago Tablet should be used with caution in patients with kidney disease. Dose adjustment of Lariago Tablet may be needed. Please consult your doctor. Liver Caution Lariago Tablet should be used with caution in patients with liver disease. Dose adjustment of Lariago Tablet may be needed. Please consult your doctor. Regular monitoring of liver function tests may be advised while you are taking this medicine. Malirid 7.5 mg Tablet is used in the treatment of malaria. Take this medicine in the dose and duration as advised by your doctor. Swallow it as a whole. Do not chew, crush or break it. Malirid 7.5 mg Tablet is to be taken with food. Malirid 7.5 mg Tablet is an antiparasitic medication which treats malaria. It works by increasing the levels of time in the blood, a substance toxic to the malarial parasite. This kills the parasite and stops the infection from spreading. Malirid 7.5 mg Tablet is unsafe to use during pregnancy. There is positive evidence of human fetal risk, but the benefits from use in pregnant women may be acceptable despite the risk, for example in life-threatening situations. Please consult your doctor.LactationMalirid 7.5 mg Tablet is probably safe to use during lactation. Limited human data suggest that the drug does not represent a significant risk to the baby. Driving Malirid 7.5 mg Tablet may make you feel dizzy, sleepy, tired, or decrease alertness. If this happens, do not drive. Kidney There is limited information available on the use of Malirid 7.5 mg Tablet in patients with kidney disease. Please consult your doctor. Liver There is limited information available on the use of Malirid 7.5 mg Tablet in patients with liver disease. Please consult your doctor. 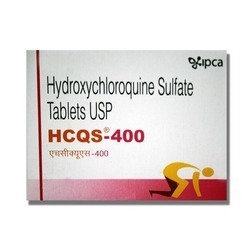 HCQS 400 Tablet is used in the treatment of rheumatoid arthritis and systemic lupus erythematosus. Take this medicine in the dose and duration as advised by your doctor. Swallow it as a whole. Do not chew, crush or break it. HCQS 400 Tablet is to be taken with food. HCQS 400 Tablet is a Disease Modifying Anti-Rheumatoid Drug (DMARD). It works by suppressing the overactivity of the immune system that causes inflammation (swelling) and pain in the joints. This slows the progression of the underlying disease. HCQS 400 Tablet may be unsafe to use during pregnancy. Lactation safe HCQS 400 Tablet is safe to use during lactation. Human studies have shown that either the drug does not pass into the breastmilk in a significant amount or is not expected to cause toxicity to the baby. You may get eye problems while taking this medicine. This may affect your ability to drive. Kidney Caution HCQS 400 Tablet should be used with caution in patients with kidney disease. Dose adjustment of HCQS 400 Tablet may be needed. Please consult your doctor. This medicine can affect your eyes. Regular eye check-up is recommended while you are taking this medicine. Liver Caution HCQS 400 Tablet should be used with caution in patients with liver disease. Dose adjustment of HCQS 400 Tablet may be needed. Please consult your doctor. What If You Miss A Dose Of Hcqs Tablet? If you miss a dose of HCQS 400 Tablet, take it as soon as possible. However, if it is almost time for your next dose, skip the missed dose and go back to your regular schedule. Do not double the dose. Cresar 20 Tablet is used in the treatment of high blood pressure. Take this medicine in the dose and duration as advised by your doctor. Swallow it as a whole. Do not chew, crush or break it. Cresar 20 Tablet may be taken with or without food, but it is better to take it at a fixed time. 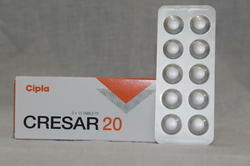 Cresar 20 Tablet is an angiotensin receptor blocker (ARB) and PPARγ-agonist. It relaxes blood vessels by blocking the action of a chemical that usually makes blood vessels tighter. This lowers the blood pressure, allowing the blood to flow more smoothly to different organs and the heart to pump more efficiently. Alcohol caution Taking Telmisartan with alcohol may excessively lower the blood pressure. Pregnancy weighs risks vs benefits Cresar 20 Tablet is unsafe to use during pregnancy. Lactation Cresar 20 Tablet is probably safe to use during lactation. Limited human data suggest that the drug does not represent a significant risk to the baby. Driving Cresar 20 Tablet may make you feel dizzy, sleepy, tired, or decrease alertness. If this happens, do not drive. Kidney safe Cresar 20 Tablet is safe to use in patients with kidney disease. No dose adjustment of Cresar 20 Tablet is recommended. However, inform your doctor if you have underlying kidney disease. Regular monitoring of blood pressure, creatinine, and potassium levels may be advised while you are taking this medicine. Liver Caution Cresar 20 Tablet should be used with caution in patients with liver disease. Dose adjustment of Cresar 20 Tablet may be needed. Please consult your doctor. Use of Cresar 20 Tablet is not recommended in patients with severe liver disease. What If You Miss A Dose Of Cresar Tablet? If you miss a dose of Cresar 20 Tablet, skip it and continue with your normal schedule. Do not double the dose. 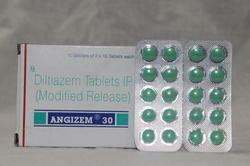 Angizem 30 Tablet MR is used in the treatment of chest pain (Angina) and high blood pressure. Take this medicine in the dose and duration as advised by your doctor. Swallow it as a whole. Do not chew, crush or break it. Angizem 30 Tablet MR may be taken with or without food, but it is better to take it at a fixed time. Angizem 30 Tablet MR is a calcium channel blocker. It blocks the action of calcium on the heart and blood vessels, thereby widening the blood vessels and allowing more blood and oxygen to reach the heart. This reduces blood pressure and decreases the chances of angina (chest pain). Pregnancy weighs risks vs benefits Angizem 30 Tablet MR may be unsafe to use during pregnancy. Animal studies have shown adverse effects on the fetus, however, there are limited human studies. The benefits from use in pregnant women may be acceptable despite the risk. Please consult your doctor. Lactation Safe Angizem 30 Tablet MR is safe to use during lactation. Human studies have shown that either the drug does not pass into the breastmilk insignificant amount or is not expected to cause toxicity to the baby. Driving Angizem 30 Tablet MR may make you feel dizzy, sleepy, tired, or decrease alertness. If this happens, do not drive. Kidney safe Angizem 30 Tablet MR is safe to use in patients with kidney disease. No dose adjustment of Angizem 30 Tablet MR is recommended. However, talk to your doctor if you have any underlying kidney disease. Regular monitoring of kidney function test is advised while you are taking this medicine. Liver Caution Angizem 30 Tablet MR should be used with caution in patients with liver disease. Dose adjustment of Angizem 30 Tablet MR may be needed. Please consult your doctor. Cresar 40 Tablet Is Used In The Treatment Of High Blood Pressure. Take This Medicine In The Dose And Duration As Advised By Your Doctor. Swallow It As A Whole. Do Not Chew, Crush Or Break It. Cresar 40 Tablet May Be Taken With Or Without Food, But It Is Better To Take It At A Fixed Time. How Cresar Tablet Workscresar 40 Tablet Is An Angiotensin Receptor Blocker (Arb) And Pparγ-Agonist. It Relaxes Blood Vessels By Blocking The Action Of A Chemical That Usually Makes Blood Vessels Tighter. This Lowers The Blood Pressure, Allowing The Blood To Flow More Smoothly To Different Organs And The Heart To Pump More Efficiently. Pregnancy Weigh Risks Vs Benefitscresar 40 Tablet Is Unsafe To Use During Pregnancy. Lactation cresar 40 Tablet Is Probably Safe To Use During Lactation. Limited Human Data Suggests That The Drug Does Not Represent A Significant Risk To The Baby. Driving Cresar 40 Tablet May Make You Feel Dizzy, Sleepy, Tired, Or Decrease Alertness. If This Happens, Do Not Drive. Kidney safe cresar 40 Tablet Is Safe To Use In Patients With Kidney Disease. No Dose Adjustment Of Cresar 40 Tablet Is Recommended. 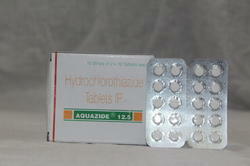 Aquazide 12.5 Tablet Is Used In High Blood Pressure And Oedema. It Treats Oedema (Fluid Overload) Associated With Heart, Liver, Kidney Or Lung Disease. Take This Medicine In The Dose And Duration As Advised By Your Doctor. Swallow It As A Whole. Do Not Chew, Crush Or Break It. Aquazide 12.5 Tablet Is To Be Taken With Food. Aquazide 12.5 Tablet Is A Diuretic Which Lowers Blood Pressure By Removing Extra Water And Certain Electrolytes From The Body. Over Time It Also Relaxes Blood Vessels And Improves Blood Flow. What If You Miss A Dose Of Aquazide Tablet? If You Miss A Dose Of Aquazide 12.5 Tablet, Take It As Soon As Possible. However, If It Is Almost Time For Your Next Dose, Skip The Missed Dose And Go Back To Your Regular Schedule. Do Not Double The Dose. Proscalpin is categorized as a type II reductase inhibitor. This means that this drug inhibits the functioning of 5-alpha reductase. This is an enzyme that is necessary to be transformed into the scalp, which is a hormone variation that has been identified as responsible for follicle death and the loss of hair. Through the inhibition of the conversion process, Proscalpin lowers the levels of DHT and slows down the hair loss process. Finasteride is used in the treatment of hair loss. It treats early forms of male pattern hair loss (also known as androgenetic alopecia). Finasteride is a 5-alpha-reductase inhibitor. It blocks the body's production of a male hormone in the scalp that stops hair growth, thereby reversing the balding process and preventing further hair loss. Betavert 24 Tablet Is Used For Vertigo And Meniere'S Disease. It Helps To Reduce The Episodes Of Vertigo Associated With Meniere'S Disease. Take This Medicine In The Dose And Duration As Advised By Your Doctor. Swallow It As A Whole. Do Not Chew, Crush Or Break It. Betavert 24 Tablet Is To Be Taken With Food. Betahistine Can Cause Mild Stomach Problems. Taking It With Food Can Help To Minimize Stomach Upset. Betavert 24 Tablet Is A Histamine Analog. It Works By Improving Blood Flow In The Inner Ear Which Reduces The Pressure Of Excess Fluid In The Inner Ear. Excess Fluid Can Send Signals To The Brain Causing Nausea, Dizziness Or Spinning Sensations (Symptoms Of Meniere'S Disease). Betavert 24 Tablet Additionally Dampens Down The Nerve Signals Sent From The Inner Ear To The Brain. This Relieves The Symptoms Of Meniere'S Disease. Pregnancy Unknown. Human And Animal Studies Are Not Available. Please Consult Your Doctor. Lactation No Information Is Available On The Use Of Betavert 24 Tablet During Lactation. Please Consult Your Doctor. Driving Safe Betavert 24 Tablet Does Not Usually Affect Your Ability To Drive. Kidney Betavert 24 Tablet Is Probably Safe To Use In Patients With Kidney Disease. Limited Data Available Suggests That Dose Adjustment Of Betavert 24 Tablet May Not Be Needed In These Patients. Please Consult Your Doctor. Liver There Is Limited Information Available On The Use Of Betavert 24 Tablet In Patients With Liver Disease. Please Consult Your Doctor.